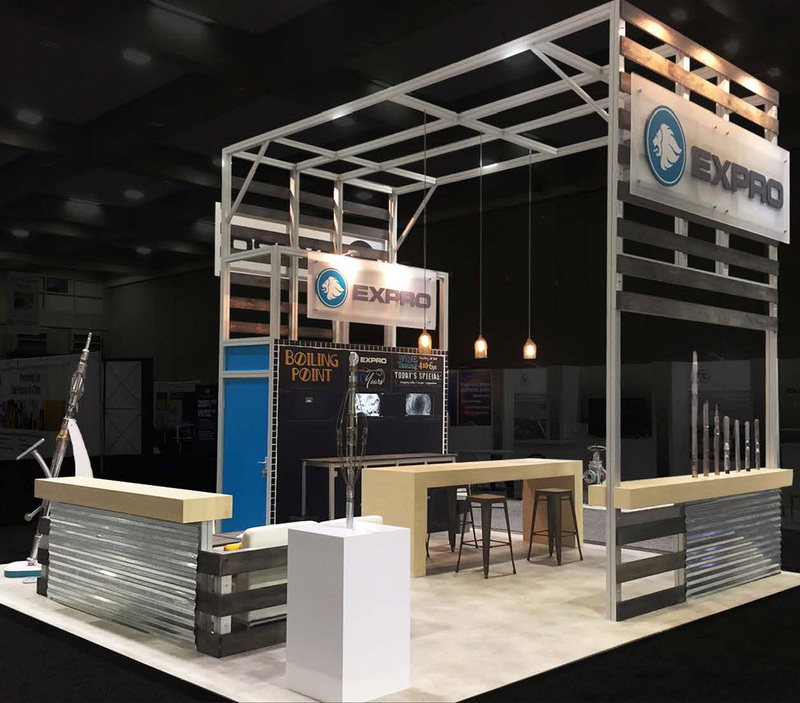 For the Geothermal Energy Expo, Expro Americas wanted a clean, contemporary design that was eye-catching and different from the norm seen at this show. They challenged 2020 Exhibits to provide creative, bold ideas and solutions in this 20’ x 20’ environment. 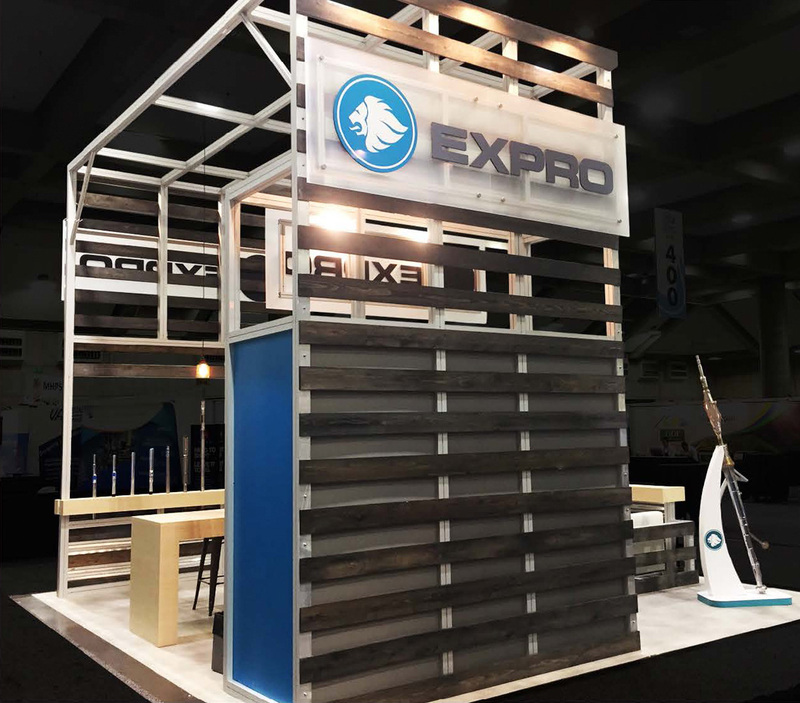 Key objectives for this event include increasing brand awareness, highlighting Expro’s Well Intervention product line and developing relationships with existing customers and facilitate opportunities with potential new customers. 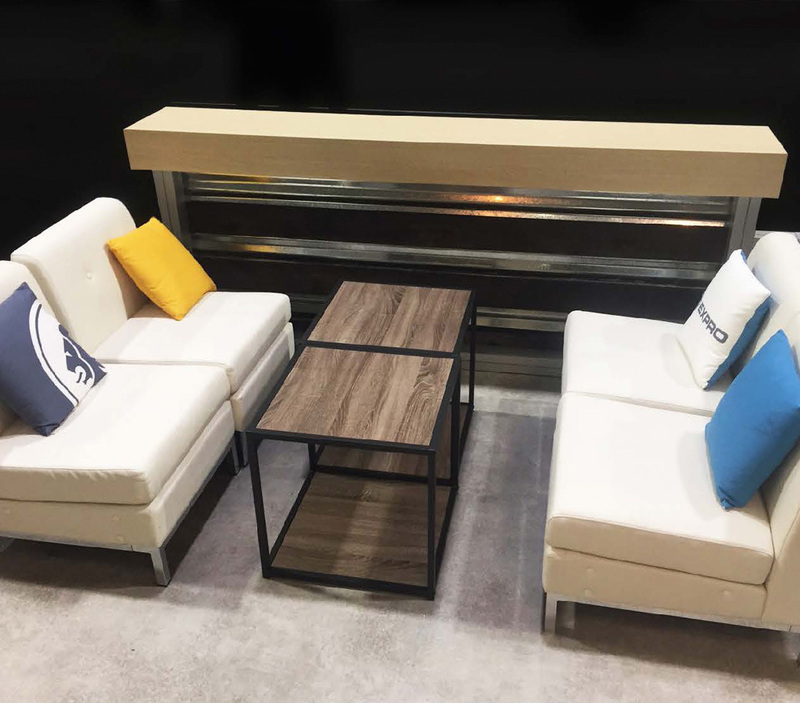 Grabbing attention by design, this clever 20’ x 20’ exhibit jumps the showroom floor, and the booth itself stands as a conversation starter. The signature wood-planked arched canopy brings the space together under an artfully rendered series of wood planks nicely arranged over the sleek silver frame. The structure houses a warm lighting design that draws focus to the tasteful furniture layout, cozy seating and bar area, to extend dwell time and conversation. Open yet warm and airy, the exhibit design and environment provide the ideal space and comfort for extended conversations and meetings. 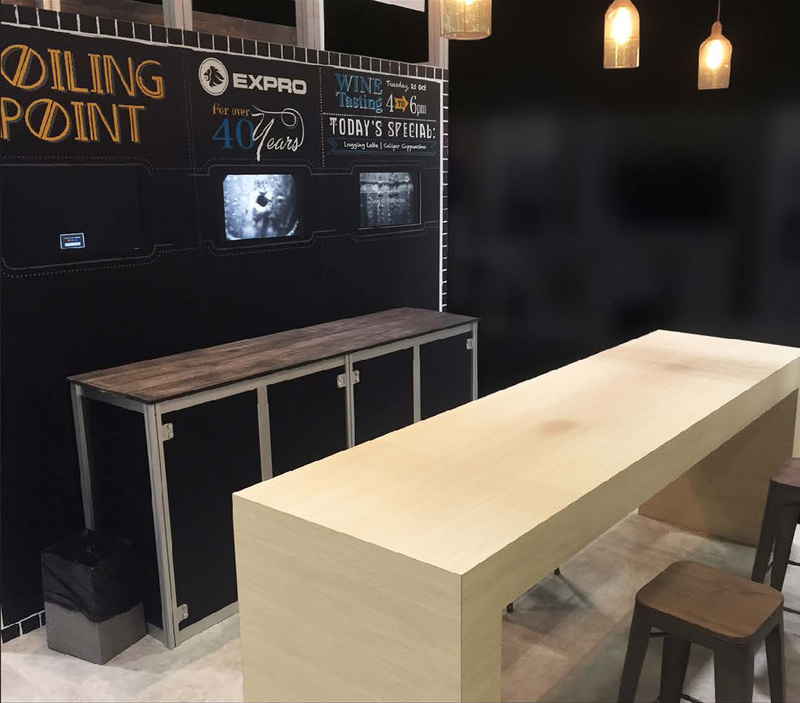 The “Boiling Point” is a play on words, reinforcing the EXPRO brand and the chance to pause from the busy show floor. Back lit, frosted plexi-signage anchored the environment, with messaging and branding seen from all corners. For those with an eye for detail, custom EXPRO-branded pillows rested comfortably on the lounge seating. The open floor plan and modern feel attracted a record number of clients and visitors to the booth. With products artfully placed throughout the space, both the booth staff and attendees were able to extend their conversations.